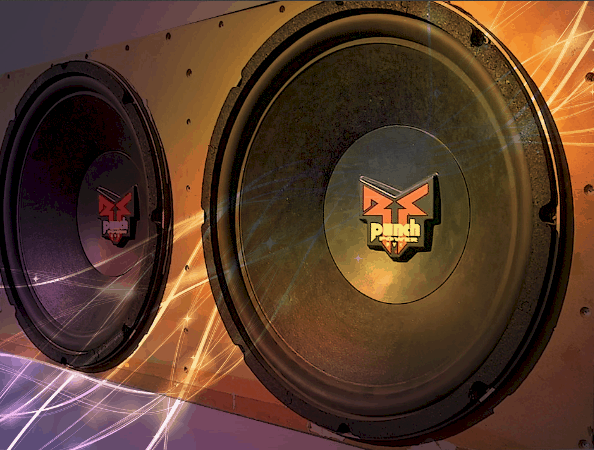 Sealed or Ported Subwoofer: Which One is for You? » Sealed or Ported Subwoofer: Which One is for You? And so, you finally decided to make driving your car more fun by adding some oomph to your audio system. If you already have some idea on how to proceed, then you’re most likely shopping around now for car subwoofers. But, if you’re new to this – where and how do you start? Peers say you should start looking for car subwoofers now; and you hear them say you have to choose between a sealed subwoofer or a ported one. That nagging thought, well, nags: Which one is for you? The basic thing to know is what that subwoofer is for. The dictionary would tell you it’s a loudspeaker component that can give you very low bass sounds. Googling will give you a more extended definition of subwoofers and hopefully make you understand it more. It allows you to hear crisp bass so you could enjoy listening to your favorite songs even more. Regardless of what kind of music you listen to, or how loudly or softly you prefer playing them in your car, a high-quality subwoofer will improve the sound compared to what the regular stock car stereo could ever give you. One factor to consider is the subwoofer’s enclosure or how it is boxed, which greatly contributes to what kind of bass is produced. Now going back to your options, which one now? Here’s the one where the subwoofer is fitted in a sealed, airtight box. The sealed enclosure creates tight, crisp and accurate bass. This is the traditional type of mounting a subwoofer which if built properly without air leaks, will allow the trapped air to serve as the shock absorber to modulate the constant back and forth motion of the subwoofer’s cone. This makes the box produce even notes that you hear as very clear bass. The sealed box is simple and quite compact and that is one huge advantage since it doesn’t take that much space to set it up. DIY enthusiasts will also be glad to know that building one doesn’t require precision in terms of the size of the box. Even if the box ends up bigger than planned, the output won’t be significantly affected. What could be considered a downside is the lack of efficiency because the trapped air is exactly that – trapped and does not give any huge benefit to the overall performance. The trapped air also restricts the movement of the cone so, the whole box would need more power to produce louder output. You will need an external amplifier to address this if you want to get more from the subwoofer. And the opposite of simple is complicated. Ported subwoofers are a bit more complicated to set up because of the “port.” This type is a box with a hole (port) which requires a little more extra brain, effort, and time to build. That port isn’t there for aesthetic reasons; its primary purpose is to increase the volume of the bass produced by the subwoofer. What happens is - because of the port, the sound produced from the back of the cone gets redirected so that the sound produced in front is reinforced. This results to louder bass and happier audiophiles. In more technical terms, the port has a specific frequency. 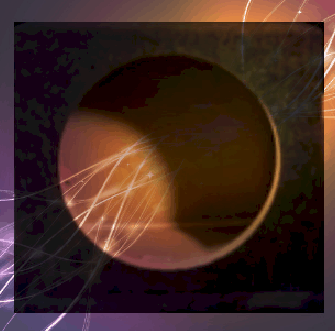 The air in the port reacts when the subwoofer starts to reach the port’s frequency. This reaction causes a delay in the sound waves from the back. By the time the rear sound reaches the port and springs out, it has already achieved a full wavelength. This results to everything opposite crisp and accurate. The lack of trapped air inside the box also hugely affects the subwoofer’s response time, which is why you will hear a delay in the bass output. To build a ported subwoofer is to strictly follow the right sizes for the box and the vent. Measurements are critical. The hole’s position in the box matters if you want it to give solid performance. This makes it quite a challenge for the DIY advocates. 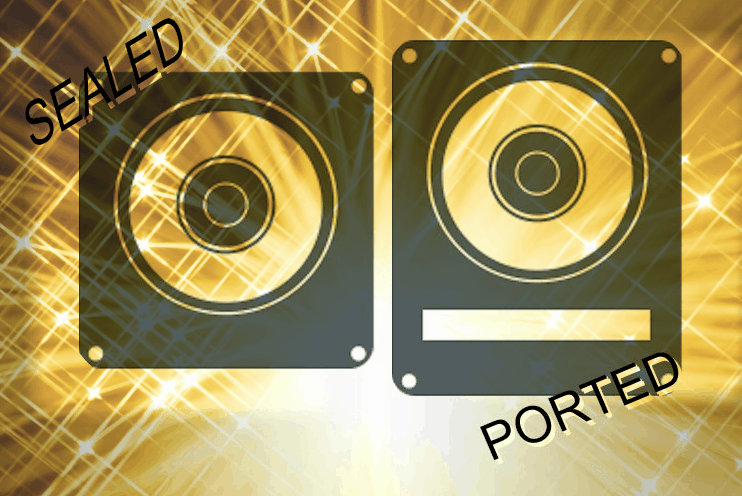 A ported subwoofer also requires larger enclosures which enhances overall efficiency. With all that in mind and without thinking too much about the technicalities, choosing between a sealed and a ported subwoofer boils down to this: Sealed boxes are for high quality output while ported boxes are for high volume. But of course, there’s always a work-around – sealed box can be made louder; ported box can be optimized for better sound. Shop around ask around. Get recommendations. There are a lot of subwoofers in the market and every one of them is a “perfect setup.” Read up on reviews before that final purchase. You should also be in agreement with yourself on which you prefer most – tight bass or louder bass? But wait, you have to check your car first. You might already have chosen something in your mind already but the final verdict depends on the space you can use in your car. Remember that the ported option requires larger space so you might just as well end up with a sealed one because you actually have no choice. If your car space is not an issue and you have free rein on what you can install, it will all come down to what your music preference is – Pop, Rock or Alternative Rock, Classical, R&B or Rap, Electro or Dance. Pop fans would get better sound from a sealed sub. Bass would come out more natural in a ported sub when you listen to R&B or Rap music. It all depends on your taste and preference in music. 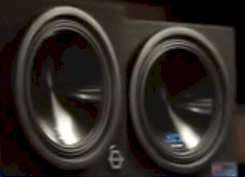 So, in choosing the enclosure of car subwoofers (with the assumption that the car has space), get into an agreement with yourself on which is a priority (based on what you always listen to) – awesome loudness or low, crisp hums. Sealed or ported, you will definitely end up with the kind of bass you prefer and your driving experience will get amplified as well.